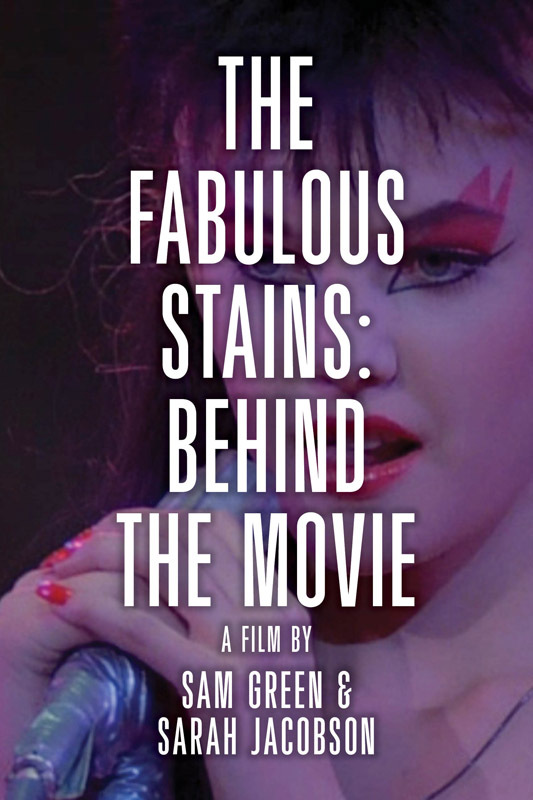 The Fabulous Stains: Behind the Movie | Sam Green | Sam Green - Sam Green is a documentary filmmaker. He’s made many movies including most recently <i>A Thousand Thoughts</i>, a live cinematic collaboration with the Kronos Quartet. Previous “live documentaries” include <i>The Measure of All Things</i> and <i>The Love Song of R. Buckminster Fuller</i>, featuring the indie rock band Yo La Tengo. Sam’s documentary <i>The Weather Underground</i> was nominated for an Academy Award and included in the 2004 Whitney Biennial. Anyway, Sarah pitched doing a piece about The Stains to John Pierson, who had a TV show about indie film on some cable channel at that time. John liked Sarah and loved the idea for the piece––I think he’d actually even shown The Stains way back in the early 1980s. Sarah didn’t have a lot of experience with documentary, so she asked me to work with her on the project. It ended up being a real collaboration, and I learned a lot from Sarah. She was meticulous about music editing, and also had very strong opinions in the edit room. Needless to say, we fought! But we had a great time making the piece, and I still think of it, and my time working with Sarah, fondly. And thanks entirely to Sarah’s tireless championing of The Stains, in 2008 Rhino recently re-released it.